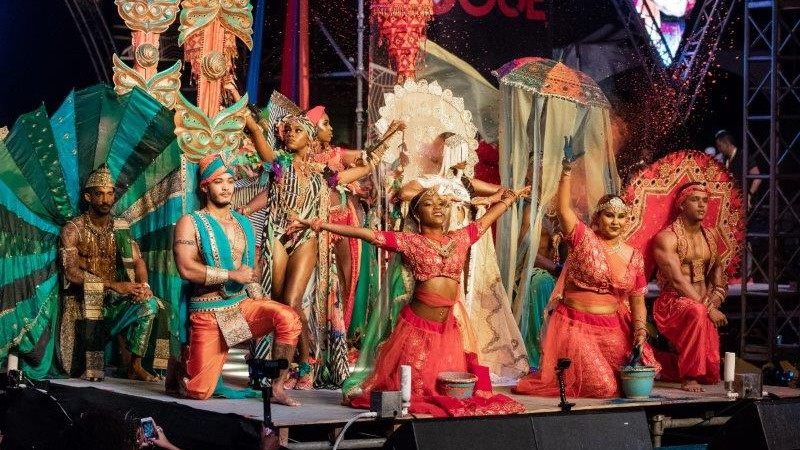 Caribbean designer and stylist Peter Elias, re-enters Carnival for 2019 with Dastkaar, a section in Lost Tribe’s TAJ. Elias, who has designed for Tribe in the past, has brought his flair and drama with this year's presentation. We spoke to Elias about his return. Elias was attracted to the aesthetic and the story of the lead artisans, many of whom history suggests were Persian or Turkish. “What drew me in was the boundless energy and passion that these artisans gave to their work; some records have suggested that over 20,000 toiled night and day, seven days a week for over two decades to complete this magnificent internationally revered monument. Accessories, accessories, accessories! Both the men and the women get an abundance of jewelry and accessories with the costume, including custom designed body rope leis and necklaces from Jewellery Artisan Jeneile Mccarthy. “Jeneile has a very clear aesthetic and fashion viewpoint. She was able to bring her own dynamic design perspective and has created distinctive and beautiful pieces that add to the texture and richness of the costume," said Elias. The other elements of the costume are also very light and allow for effortless movement, drama and “INSTAGRAMABLE” moments on the road. Elias, like most designers, finds the greatest joy and satisfaction in seeing his vision come to life. “When that section hits the streets/stage and I see my masqueraders’ unbridled joy and unencumbered energy, that for me will be my nirvana moment, trust me that never gets old, it’s always a wonderful high point of my year," he said. 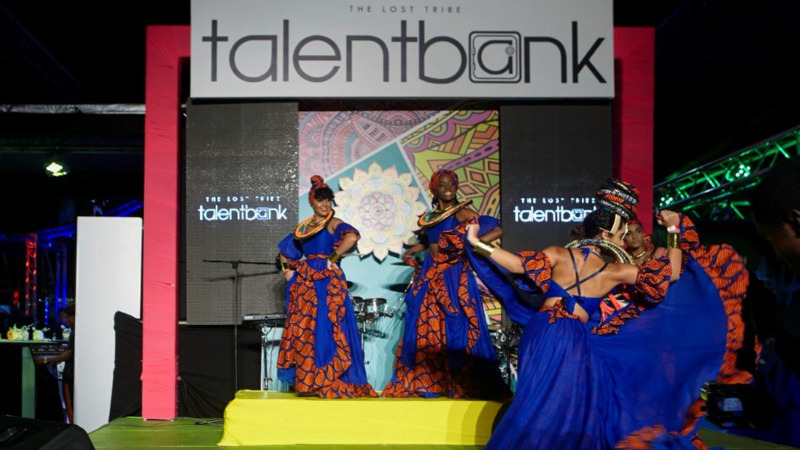 Dastkaar storms the stage for Carnival 2019 with an explosion of energy, colour and movement as part of Lost Tribes 2019 presentation, TAJ the timeless symbol of one of the greatest love stories ever told. Dastkaar is a section in Lost Tribe’s 2019 Carnival Presentation TAJ. Dastkaar is marketed by OYE Promotions and you can follow them on Facebook and Instagram.